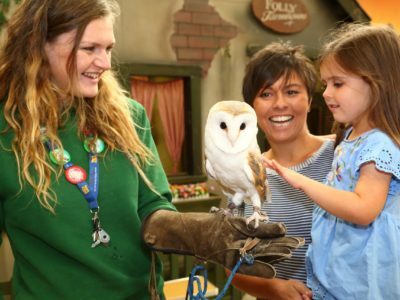 There’s plenty of things to do at Folly Farm whether it’s raining or the sun’s shining! It’s the Easter holidays and we know you won’t want a bit of rain to spoil your fun. So, don’t worry, because 50% of our attractions are undercover. If it’s raining, sunny, cold or warm – we’ve got you covered. If you’re looking for things to do in Pembrokeshire in the rain, then look no further. 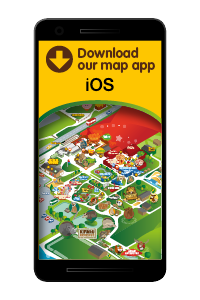 There’s the Jolly Barn with its farm animals, and many of the viewing areas in our zoo are covered or there’s indoor access to our animal’s houses. 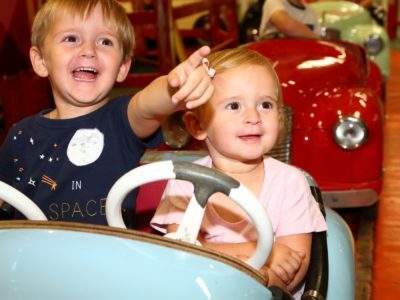 Plus, our vintage fairground rides are inside a huge barn and we have lots of indoor play areas. During the Easter holidays there’s also our free indoor theatre shows.It’s not always raining though and there’s loads to do outdoors, too. 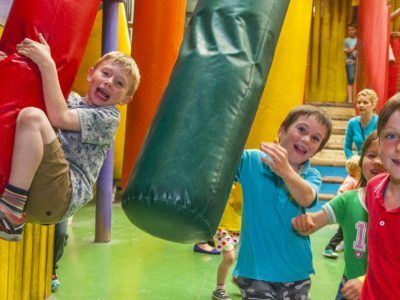 A big choice of adventure play and many of our zoo animals – so when the weather’s fine, you can enjoy the healthy fresh air at Folly Farm.You can also eat inside or out at our range of places to eat and drink. Watch the video to see just how much there is to do whatever the weather!